With special effects such as haze machines, wind wffects, caving sound effects and hidden tunnels, the Cave will provide an experience you will never forget. Cave features include multiple chambers, special effects, squeeze chamber, fossil hunting, ball pit and stalactites! 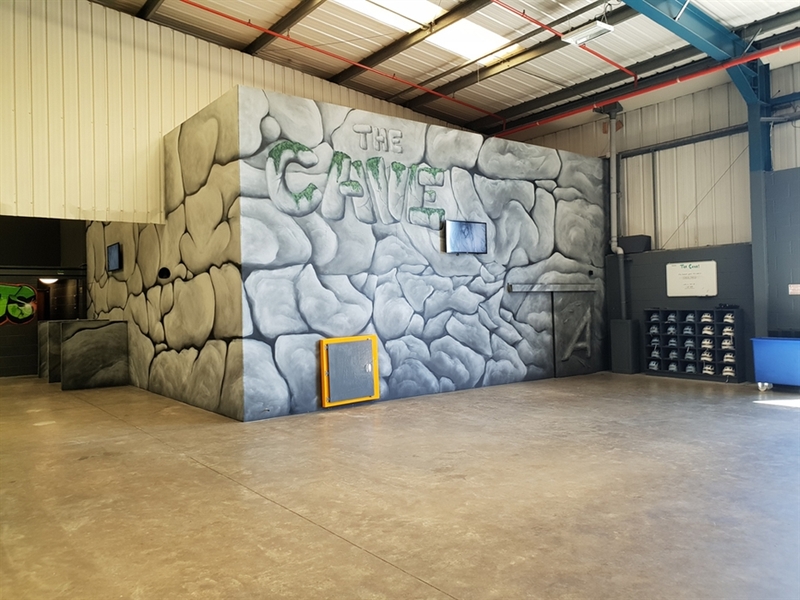 Alternatively, if you use the Trampoline Equipment before or after your Caving session you can simply add the Caving for only £5.00 per person (this offer can only be redeemed in-house and via Telephone Bookings).